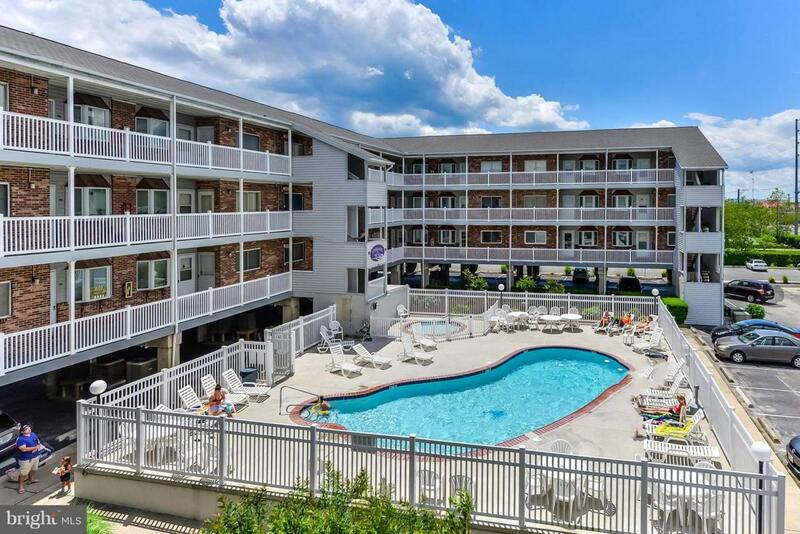 Tiffanie By The Sea is a perfect get away, located right in the heart of Ocean City! Offering this 2 bedroom, 2 full bath's, open floor plan with an abundance of natural light. Living room opens to the kitchen including a large granite island w/copper hammered sink & copper back splash giving a warm country kitchen feel, updated lighting for entertaining family and guest! Nice spacious balcony and front deck with a view of the bay! Enjoy the views and a pool~This unit is a must see, with upgrades including HVAC 2015, water heater 2016, kitchen remodel 2017, ceiling fans/kitchen lighting 2017. New slider and master window 2016.